The moment we come across any news or headlines expatiating about the shell companies, we fleetly surmise some fraud or illegitimate impersonation attached to it. But there are certain objectives with which the concept of ‘The Shell Companies’ actually came into existence. Shell companies are the corporation existing only in papers without any significant business or assets. Shell companies are the entities established by the corporations to raise more funds or go public by adopting reverse mergers. These shell corporations function as transactional vehicles for firms and abet for multitudinous purposes. The primary purpose of shell corporation is legal corporate restructuring. Corporate restructuring is redesigning of the corporation in one or more aspects to tackle the financial difficulties, business expansion or to make it a more profitable enterprise which is possible either through organizational restructuring or financial restructuring or both, however incorporation of shell company is one of the methodology embraced by the firms for efficient corporate restructuring. Corporate restructuring is generally adopted as a solution to the financial crisis phase to which the enterprise is going through. Shell companies are the entities which substantiate the purpose of corporate restructuring by the firms. Incorporation of a shell company is one of the expeditious ways to go public via the acquisition of a public company and merging a private company into it, commonly termed as ‘reverse merger’. Going public is beneficial for a private company as it becomes easier for a private company to broaden the market and fundraising capacity of the private company by attracting both private as well as public investors. It enables the private firm to expand easily and recapitalize its operations by using their stock or equity for funding their business. In this process of the reverse merger, the shareholders of the operational private company undertake the management of the, listed but not so active, public company and then merge it with the private company. The consequential corporation is called the ‘shell’. The shareholders of the private company receive a momentous number of shares in the public company and control of its board of directors of that company. The shareholders of the private company invest in the public company through their shares in the private company they own and in lieu of which they receive major shares in the resultant ‘shell company’. Hereinafter this share exchange completes the reverse merger and incorporation of a shell company which would be managed by the same shareholders including future investors if any. A public shell company which has no assets and is not actively operating acquires a private company which requires funding in the capital markets. During the acquisition, the shareholders of the private company get a large majority of shares in the public shell company by giving their shares in the private company. Shareholder gets accretion in controlling interest as well as voting power in the post-merger public shell company. Moreover, the shareholders of the private company takes over as the board of directors and are empowered to manage the affairs of the public shell company. All the assets and functions performed by the public company formerly belong to the private company. The private company takes the recourse of reverse merger to easily access the capital markets along with the liquidity which comes with the listing of the company in exchange.This mechanism is followed by instituting a company after the acquisition of a public company listed under IPO which is doing no significant business and does not hold any assets in its name. Through this route, it becomes easier for a private company to become a public company as compared to the traditional route of IPO which tends to be time consuming and costlier. Reverse merging means the acquisition of the Reverse merging furnishes the private company with a moderately inexpensive method of going public which is the key reason for private companies to adopt this method of corporate restructuring In addition to the capital, the company being a public may give a company increased value in the eyes of the potential acquirers. A reverse merger is even a viable approach by the Indian private firms as it provides immediate liquidity. Like unlisted Hardcastle Restaurants (master franchisee for McDonald’s in the west and south India) merged with Westlife Development, a shell company, post-merger the share price of the Westlife Development has doubled in one month. No doubt shell companies play a key role in reverse mergers as they deliver time-efficient and cost-effective means for the transformation of a private company into a public company. Along with the easy process here are some more benefits. Reduction of a time frame in the conversion of the private company into a public company. Capitalization is possible through the stock of the private company so no need to raise funds for acquisition or merger. Easy fundraising as investors will have a defined exit strategy. Apart from all the above-said benefits, it is incumbent for the public company to be clean, else the private company has to carry the unnecessary burden of lawsuits pending against the public company moreover the sole purpose of the private company in adopting this method of going public would be defeated easily. Therefore the shell companies play a very significant role in corporate restructuring through reverse mergers. Compliance with more government regulations or other authorities. It is not illegal to incorporate a shell company especially for purpose of corporate restructuring which drives the private company towards more investment and easy access to the broad market. However, under the legitimate umbrella of corporate restructuring, many firms have started misusing the concept of reverse merger and incorporation of shell companies to evade the tax and use promoters for diverting funds from unlisted or listed companies. Moreover, many companies either fail to remain viable following a reverse merger. Along with another kind of investments, there have been instances of fraud and other abuses involving reverse merger companies. The investors should not forget to consider that there are foreign companies that after following reverse merger have been able to access the local markets of other countries usually take the help of auditing firms of that country, some of which may not have the resources to meet its auditing obligations when all of the private company’s operations are in another country due to which such auditing firms might not determine instances where such companies may not be complying with the applicable accounting standards which would increase the risks for potential investors. Whenever such incident occurs the regulatory authority suspend trading in such companies which does not file the complete and accurate information in public filing concern but repose heavy liability upon the investors who have already invested in such companies.Therefore, investors should be careful when considering investing in the stocks of reverse merger companies and should make sure that they have accurate and up-to-date information about a company before investing. HOW THESE SHELL COMPANIES ARE MISUSED? Many studies show that this type of corporation is a viable choice if you're empirical to save taxes or hide assets. It has become one of the most prevailing unethical practices used to hide the assets and real income of the business owners and the actual owner of this corporation is not registered in any public records. Shell company works as a prominent tool existing merely on papers, no employees, no office or no assets which are registered to the company that facilitate the setting up of shell companies in a tax haven. These shell companies repose criminal effect when these are used for the criminal purposes like black money laundering, tax evasion. The setting of these shell companies also doesn't require much identification, therefore, provides the corporates with an easy way to evade tax and enjoy the fruits of black money earned by evading the taxes to be applied as per the government regulations. A reverse merger is a captivating choice for the private companies to rise to the recognition as the public company which is less time to consume and cost-effective alternative than the conventional IPO through which the business managers enjoy proficiency in terms of financing alternatives. 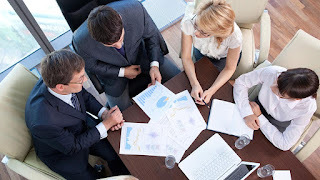 However, the managers should be conscious of the supplementary compliances to be followed by the companies and they should even work efficiently to expand the business then only the value of the stock will be increased and the objective with which the reverse merger mechanism was adopted could be fulfilled. Hereinafter the investors should be alert before investing in any reverse merger company and they need to research very well that if all the regulatory requirements have been met by the companies. As the name implies, the shell company is hollow, indulged in nothing but the business of managing the money inside of them with the help of solicitors or financial consultants. The biggest task of the authorities is to find whose money is invested in such firms. There are some places that mandate the shareholder’s information public yet it is the cake walk for the owners to achieve the anonymity which is possible by registering the company in someone else’s name or materializing the shareholders as further companies registered somewhere to maintain the secrecy of the real owners. For example, taking a cue from the US, some companies are not required to file reports with the SEC. These are known as “non-reporting” companies. The investors should be aware of the risks of trading the stock of such companies, as there may not be current and accurate information that would allow them to make an informed investment decision. An operating company that is not required to file reports with the SEC is, by definition, a non-reporting company, and therefore, transactional information about that company is likely to be limited. Further, information about a public reporting shell company that a non-reporting operating company merges into, in a reverse merger, would not be relevant to the operating company. Thus, the concept of reverse merger providing private companies a more convenient alternative to the IPO process, seems to come in an attractive package, with its array of benefits. However, it is important to look beyond the package to see if there are potential risks associated with transacting with the public shell company. Only if the public shell company is clean, and all the regulatory compliances are in order, should one go ahead with the corporate restructuring scheme? As per the Indian legislation setting up of shell companies is legal in India which has paved way for the companies to evade taxation and money laundering for many years. But to curb these illicit practices prevailing in the country central government has taken various crucial steps to crack down upon the fraud companies set up for merely hiding the assets of the real owners. The primary step is government’s recent notification according to which there will be a limit upon the no. of subsidiaries a company can have i.e. two which means a company can have only two layers of separation between themselves and the holding company. Although it's is true that these subsidiaries can be used as shell companies for illegitimate purposes which would help in unlawful monetary accretion but this corporate layering also has some lawful objectives due to which this corporate structure layering has been given legal sanction. The Even supreme court has explicitly upheld that an involute corporate layering structure is legal. Such structures are established in the domestic market where moderately sized firms can have different corporate structures or subsidiaries for diverse sectors of performance which later on set up various other layers for tax havens or hiding the assets in the name of the owner of the former subsidiary.no doubt the recent regulation will lower the rate of investments or funding as new funding often requires new subsidiary to set up. This will harden restrict the companies from arranging higher and much more diversified investments. The proportionately major concern is on addressing shell companies and illegitimate use of corporate layering. Each layered structure can be misused and codification and unification of the suggested policy can increase the transparency across the jurisdiction. Therefore instead of straight jacket formula or restriction, shell companies cases should be dealt case-by-case as it will not defeat the purpose of the businesses and objective of the concept of corporate layering.